This past weekend, I tested and earned my 4th Degree Black Belt in Taekwondo. I’m pretty proud of the achievement, but more proud of the changes in my life since I began this journey in 2006. Dan, Temple, Katie, & Riley in early 2007. Temple Carson… My wife. Not only did she allow me to begin this crazy journey. She joined in it with me. She reached the rank of 1st Degree Black Belt and has cheered me on as I continued. Eric Myers… A great friend who invited me to join him in training in TKD. 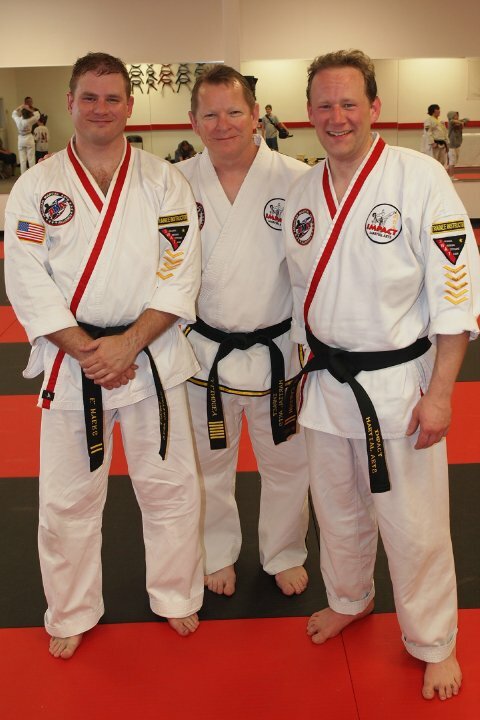 We trained together all the way up to 3rd Degree Black Belt. 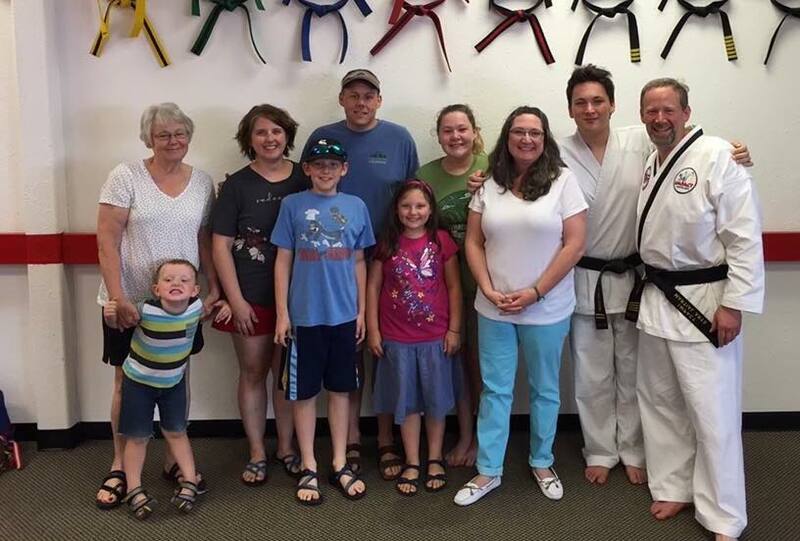 His enthusiasm and generous spirit made TKD a joy as we went to class, tournaments, and camps together. Calvin Alford… Mr. Alford was Master Lindsey’s Assistant Instructor the bulk of my time leading up to 1st Degree Black Belt. His desire for excellence in TKD helped motivate me to be a better martial artist. 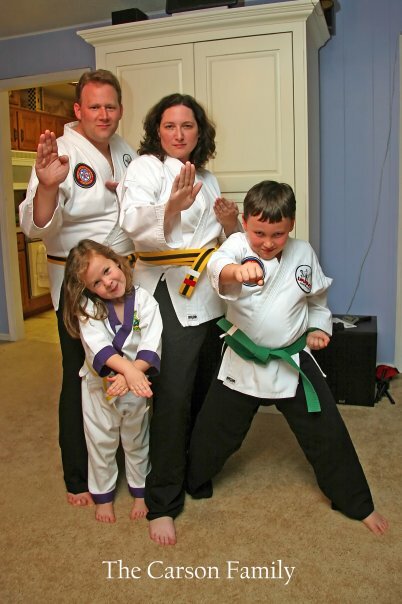 Randy Edwards… Master Edwards runs Fayetteville Martial Arts Academy of Fayetteville, Arkansas. He is an incredible instructor that brings passion and drive to his workouts. I love getting the opportunity to train with his Noon classes. Troy Burelson… Master Burleson is a kind, intelligent, man of faith that teaches in a way that reaches people. If I would only listen and keep my back hand up when sparring, I probably would do much better out there. Esti Corcoran… Esti was my cardio kickboxing instructor over the past several years. She and the kickboxing class at World Gym gave me another avenue in which I could burn calories as I kicked and punched. She yelled at me as much as or more than any of my TKD instructors and made me a better person for it. There are still others that have helped and encouraged along the way. From my Mom to former students, I couldn’t have done this alone. That is something that God wants us to know. We are made for community. It is healthy for us to join in with others and to seek their help as we work to reach our goals. There is no way that I could have become a 4th Degree Black Belt all by myself. It took a group to get me where I needed to be. The Carson Family on Dan’s Big Day!